Gas chromatography is a common analysis tool employed in many areas of industry, including oil and gas, pharmaceutical, chemical, and others. Yokogawa Corporation of America has been delivering top tier industrial GC performance with their GC8000 Process Gas Chromatograph for use in oil and gas, and other industrial applications. Modern regulatory requirements for flare gas management highlight an application area for gas chromatography. 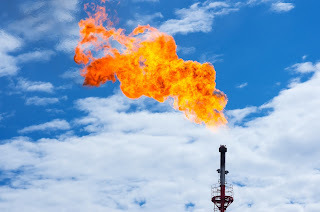 Yokogawa provides an analysis of the requirements for flare monitoring, related regulatory compliance, and how various measurement and analysis techniques and equipment can aid in delivering a successful compliance plan. Industrial gas chromatographs can play a part in a compliance plan for flare monitoring. In addition to the ruggedness and reliability for which Yokogawa gas chromatographs are well known, the GC8000 brings a number of innovations and improvements to the company’s process gas chromatography product offering that deliver easier operation and more efficient utilization. Advanced predictive diagnostics and software functions monitor key performance indicators during each analysis to verify analyzer is operating within proper tolerances. Parallel chromatography is made practical through the use of the GC Modules provided as part of the GC8000. Virtual GCs can be set up inside a single GC with GC Modules to measure multiple streams simultaneously. More detail is available on the GC8000 Process Gas Chromatograph, the culmination of Yokogawa’s 55 years of experience in the field. For more information, or to discuss your application specifics, contact a product specialist. 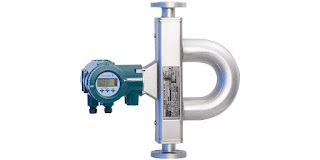 Fluid flow measurement is commonly employed in many industrial process control operations. Accurate and useful flow measurement can be obtained with the proper application and installation of a flow meter as part of the fluid transfer system. 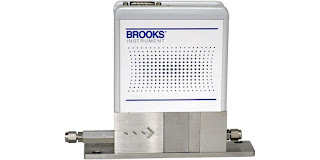 Industrial flow meters employ differing technologies to directly or indirectly measure gas and liquid flow rates. The selection of an appropriate measurement technology and instrument will be influenced by a number of factors related to the installation and application demands. Among the many available technologies for fluid flow measurement, vortex flow meters, magnetic flow meters, Coriolis flow meters, and rotameters are among some of the most common found in industry. Each of the separate technologies have attributes which can make them more suitable to certain applications. Selecting the most appropriate flow measurement technology for an application is one of the initial and crucial steps to designing a well functioning flow measurement system. Selection criteria, such as fluid temperature, pressure, and velocity will be part of the selection process. Additional considerations include whether the fluid may be abrasive, corrosive, clean or dirty. The state of the fluid, liquid or gas, must also be considered. The desired output, whether volumetric or mass flow, will certainly be an integral part of the criteria. Selecting the right measurement technology and instrument is not always an easy task, especially since it may be something that you do infrequently. Share your flow measurement challenges and requirements with process instrumentation specialists, leveraging your own knowledge and experience with their product application expertise to save time and develop an effective solution. Yokogawa's Gas Density Meter is a combination of density converter and detector. The instrument provides continuous measurement of process gas density, specific gravity and molecular weight in a configuration delivering stable operation and requiring little maintenance. One important aspect is the proper pairing of a detector with the density converter. The video explains the process and how to make sure it is done correctly. Share your process analytical and measurement challenges with process instrumentation experts, leveraging your own knowledge and experience with their product application expertise to develop effective solutions.